Computex 2012 saw ASUS with their Transformer Prime, a tablet/laptop hybrid. 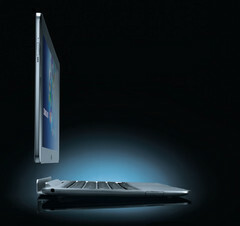 Acer came up with the W510, another tablet/laptop hybrid. So, Samsung made no exception when they unveiled their own tablet/laptop hybrid, the Series 5 Hybrid PC. 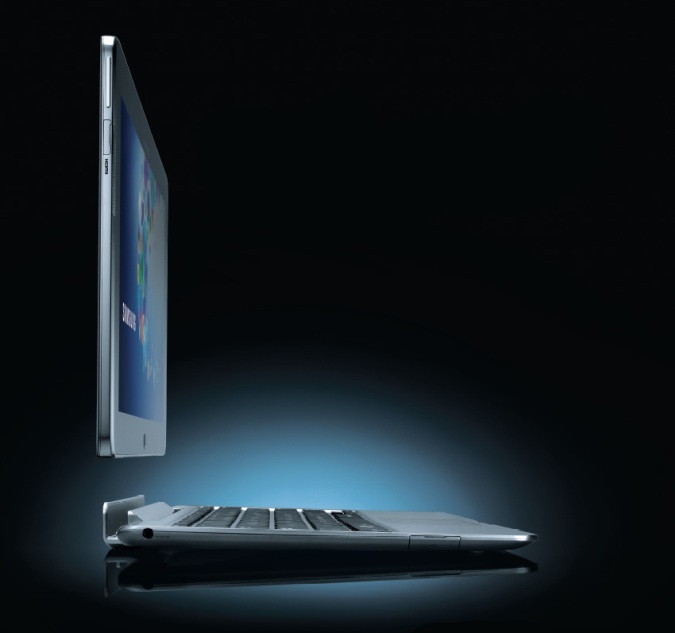 The Hybrid is similar to the ASUS Transformer Prime and the Acer W510, but unlike the W510 which uses a latch to connect the tablet to the detachable keyboard dock, the Hybrid uses a magnetic system to attach. And unlike the W510, there's no built-in battery in the Hybrid's keyboard dock. Nonetheless, the tablet seems pretty sturdy and the magnetic latch seems capable of holding very securely. The Series 5 Hybrid PC offers an 11.6 inch screen with a display resolution of 1920 x 1080 pixels. It promises a battery life of more than 10 hours and comes with a 2MP front camera an an 8 MP camera at the back. There's an USIM slot, a microSD card slot, an USB super speed port, HDMI output and stereo speakers on both the edges of the screen. It weighs around 750g and it is 9mm thick. To make the Hybrid more appealing, it comes bundled with the popular S-Pen and S-Memo software which is used by the Samsung Galaxy Note. But it should be noted that this tablet, unlike any other Galaxy tab, is not an ARM-based slate, but an X86 PC, which makes it entirely capable of running full Windows 8 and not just the RT version. The Hybrid seems to be made available in two versions. One seemed to be running on a two-Watt Intel Clover Trail CPU, and the other model is expected to have an ultra low voltage notebook-grade processor. While all these are subject to change, there is no doubt that this generation of tabs will give its users a whole new experience of a laptop and a tablet merged together. The Android and iOS devices will have to brace themselves for some serious competition, when these tablets are made available in the market.